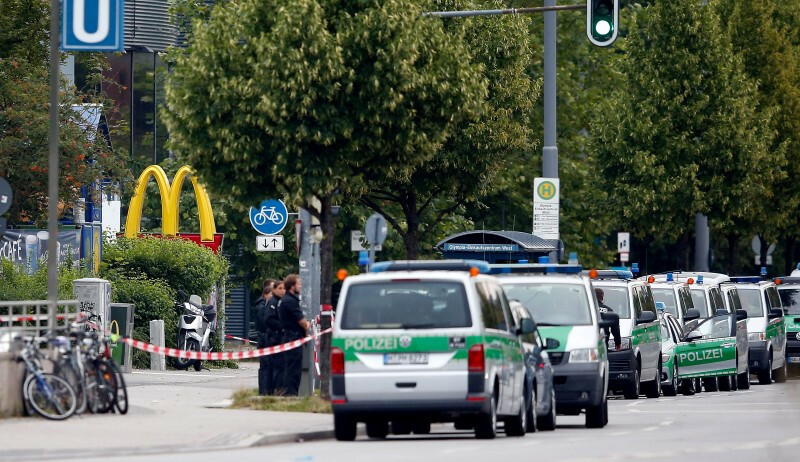 Nine people were killed and 21 injured on Friday evening (22 July) when a man shot at customers in a fast-food restaurant in Munich, Germany, in what authorities said might not have been a terrorist attack. The killer, an 18-year old German-Iranian man who lived with his parents, was found dead about one kilometre away from the scene of the attack after apparently having committed suicide. The shooting took place at around 6PM at the Olympia shopping arcade, Bavaria's largest, near the Olympic stadium outside the city centre. "The motive, and the background of the crime are still totally unclear. The investigators are working full tilt and will continue into the night," Munich police chief Hubertus Andra told journalists late on Friday. The shooting prompted panic in Bavaria's main city. First reports said there had been three attackers, with automatic rifles, indicating a coordinated, Paris-type terrorist assault. Some 2,300 security forces were deployed to secure the city. Public transport and Munich's train station were closed until Saturday morning and at one point during the evening. Police also asked drivers to leave the motorways. At the time the police said there was an "acute terror threat". But at his later press conference, police chief Andra said authorities were now talking about "a shooting" and that the investigation should help to shed light on the killer's motives. A video released by German media showed the killer speaking to a man on a balcony. He said he was German and that he had had hospital treatment. German president Joachim Gauck said he was "horrified by the murderous attack". 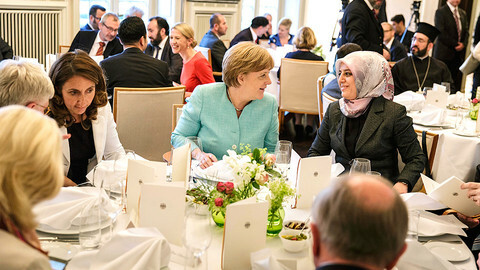 Chancellor Angela Merkel, who had just started her holidays, did not speak to media, but will chair a security council in Berlin on Saturday. Interior minister Thomas de Maiziere came back from the US. The shooting took place four days after another attack in Bavaria, on Monday, when a 17-year old Afghan or Pakistani minor injured five people in a train with an axe and a knife before being shot dead by police. He had left a letter and a video on YouTube which De Maiziere said was a "classical farewell video" of a suicide attacker from the Islamic State jihadist group (IS). The video however did not contain "any indications” as to whether he had on an IS order or had merely claimed to act on behalf of IS, the minister added. 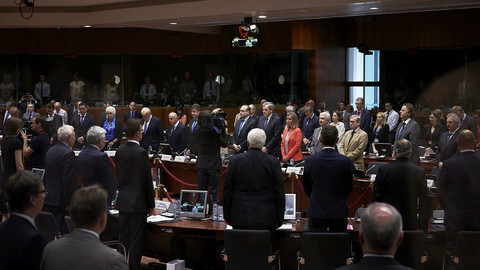 Foreign ministers meeting after last week attack in Nice aired strategic ideas rather than specific initiatives. 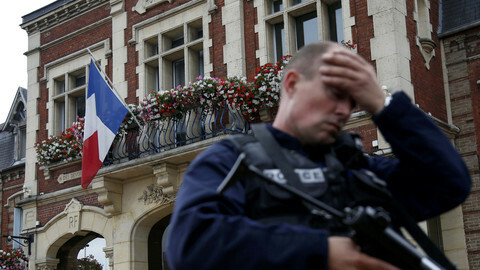 Two men have murdered a priest in a Roman Catholic church in northern France in what is being investigated as a potential terrorist attack.